On April 21, 1960, Brazilians welcomed a new city, Brasilia, planned and developed specifically to be the nation’s capital. Office towers overlook Praça dos Três Poderes in Brasilia, the capital of Brazil. These offices are part of the Brazilian Congress. Praça dos Três Poderes, which means Three Powers Plaza, is the home to Brazil's legislature, president, and Supreme Court. On April 21, 1960, Brazilians welcomed a new capital, Brasilia. Brasilia was a planned city, meaning it was specifically developed to be the capital of Brazil. It took architects, engineers, and city planners four years to build Brasilia. Brazil's previous capital, Rio de Janeiro, was a crowded, coastal city. Rio’s design slowed government work because buildings were located far apart from one another and traffic was heavy. Brasilia, on the other hand, is neatly divided into numbered blocks and sections. Different sections were developed for different activities, such as government, banking, or embassies. Brasilia was also constructed in the country’s interior, to spur development there. 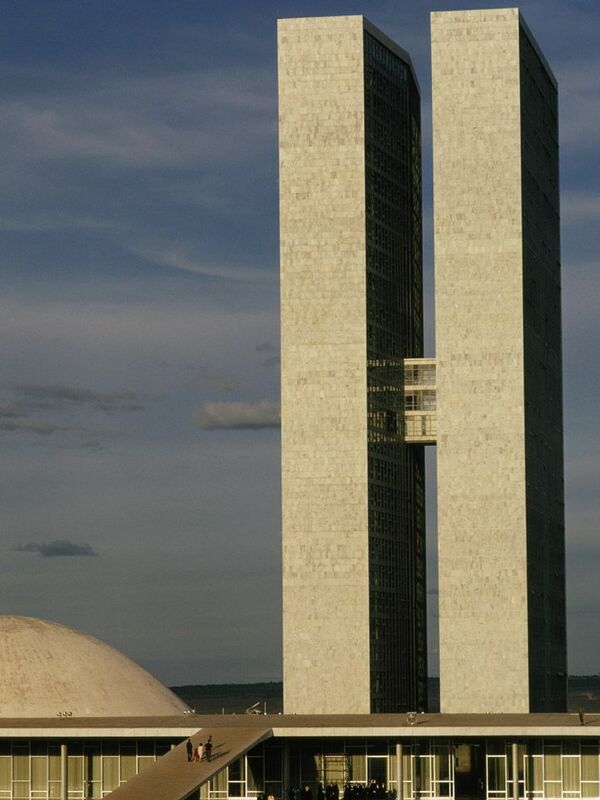 Today, in addition to being the legislative center of Brazil, Brasilia is also a UNESCO World Heritage Site, recognized for its modernist architecture. person who plans the physical design and zoning of an urban center. to encourage or move forward.